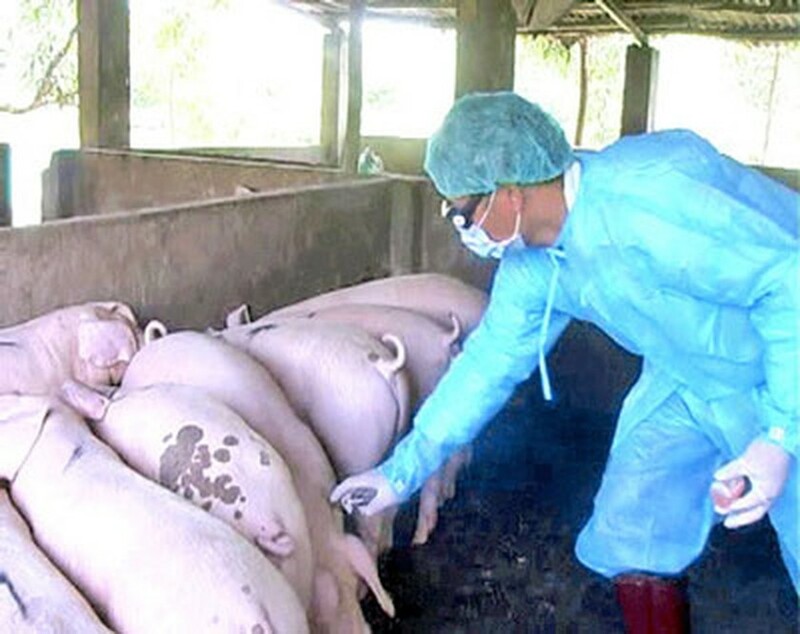 The blue-ear disease has now been brought under control in the six districts of the central province of Quang Tri, with over half of the 1,300 ill pigs being quarantined for treatment and the others being killed and buried. According to Nguyen Van Bai, director of the Department of Agriculture and Rural Development in Quang Tri Province, local authorities in six districts are still mobilizing the police and army to assist the veterinary teams, as well as strictly guarding all roadblocks to prevent illegal transportation of sick pigs out of the infected areas. More than 70,000 vaccine doses and thousands of liters of chemicals to destroy ill pigs and sterilize infected areas have helped in curbing the spread of the disease to other parts of the province. In related news, the Department of Agriculture and Rural Development in the central province of Quang Nam, has also announced that it will be able to completely control blue-ear disease in the province with no more new cases being reported in last six days. As a result, local authorities have decided to switch back to normal measures to protect current pigs, instead of using blue-ear vaccine or quarantining them.